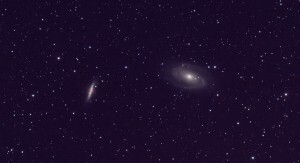 I’ve finally captured this lovely little duo of galaxies in Ursa Major properly. 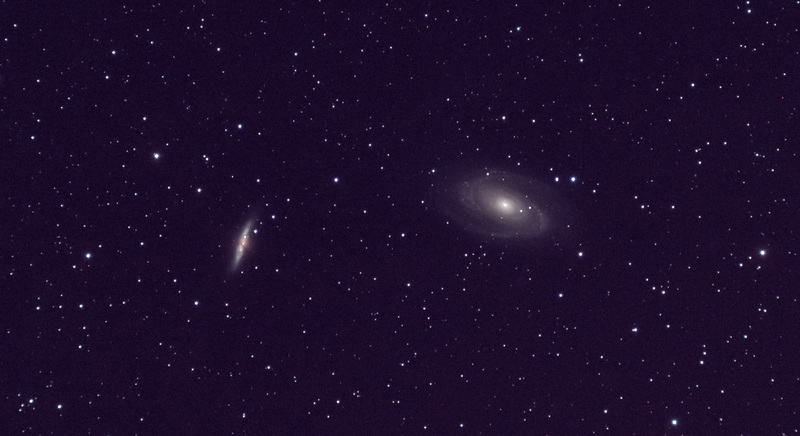 M82 (on the left) is the galaxy that currently has a supernova showing to us (the one that happened 12 million years ago, and we’re only now seeing it!). 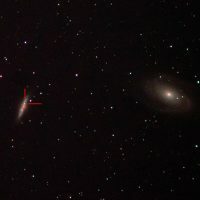 I took a quick shot of these two the other week to record the supernova, but this is a little more considered. However, clouds want that it’s still only about 40 minutes exposure (in 4 min subs). Taken through the 80mm Revelation Semi-Apo on the HERQ5, guided. Taken with the modded 1100D, with CLS filter. The ten exposures were stacked using Deep Sky Stacker, and then stretched and generally fiddled with in Photoshop, then finished off in Lightroom as usual. 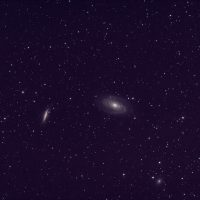 I’m surprised at how well this turned out with just 40 minutes of data. Looking forward to dedicating bait more time to this when I get a chance. 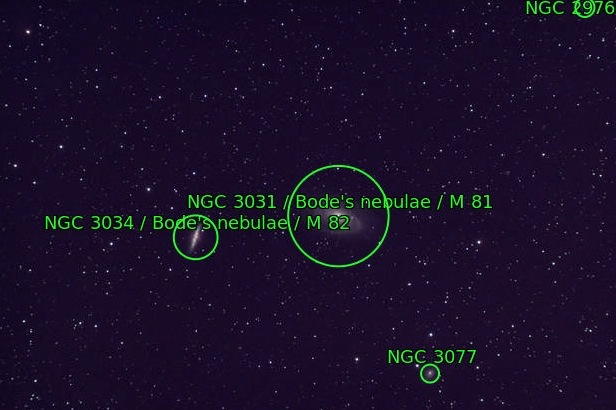 It’s worth noting that this duo make a lovely target in small amateur scopes – they’re both fairly bright. 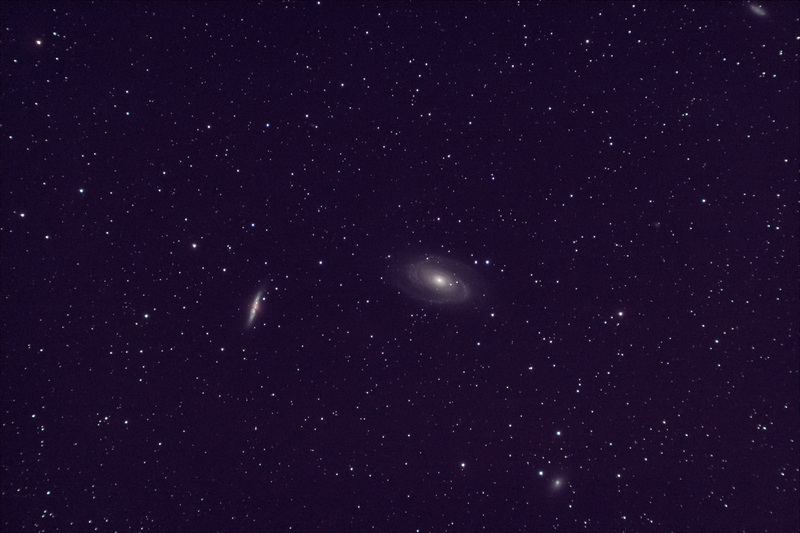 A second, uncropped version of this shot shows a few more small galaxies in the vicinity. I’ve plate solved this one too to show what they are. 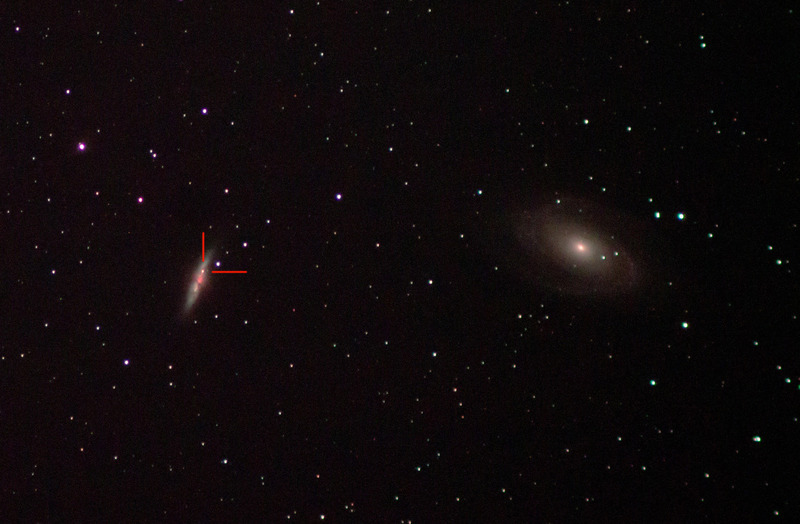 Also included below is a the image I took the other week to show the position of the supernova. 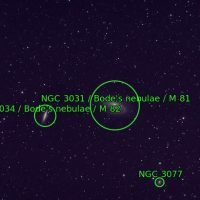 Next story The Orion Nebula – 02/02/2014 – Progress!